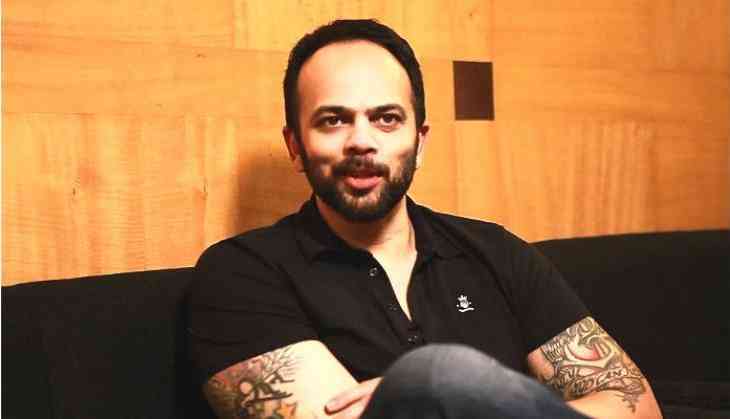 Filmmaker Rohit Shetty, son of veteran stuntman and action choreographer M.B. Shetty, says according to him actors Akshay Kumar, Suniel Shetty and Ajay Devgn are the 'khatron ke khiladi' of Bollywood. The 'Golmaal' director launched the eighth season of 'Khatron Ke Khiladi' with all the contestants here on Tuesday. The filmmaker made a dashing entry to the tunes of 'Singham' at the event here on Tuesday. Talking about the new season of 'Khatron Ke Khiladi', he said: 'All things are live on this show. There are no special effects or computer graphics in this show. After a gap of two years, I felt it was like coming home. And we are shooting this season in Spain which is really exciting. 'Khatron Ke Khiladi', with a theme of 'Pain in Spain', will be telecast on Colors. It will have contestants like Geeta Phogat, Heena Khan, Lopamudra Raut, Ravi Dubey, Karan Wahi, Rithvik Dhanjani, Nia Shama, Shiney Doshi, Shantanu Maheshwari and 'Bigg Boss' fame Manveer Gurjar.